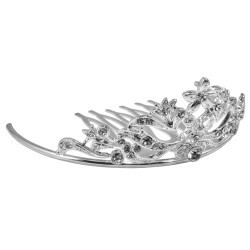 This is a lovely little mini comb tiara, or bun tiara that is very suitable for Bridal occasions, especially for Bridesmaids, and also for dancers. 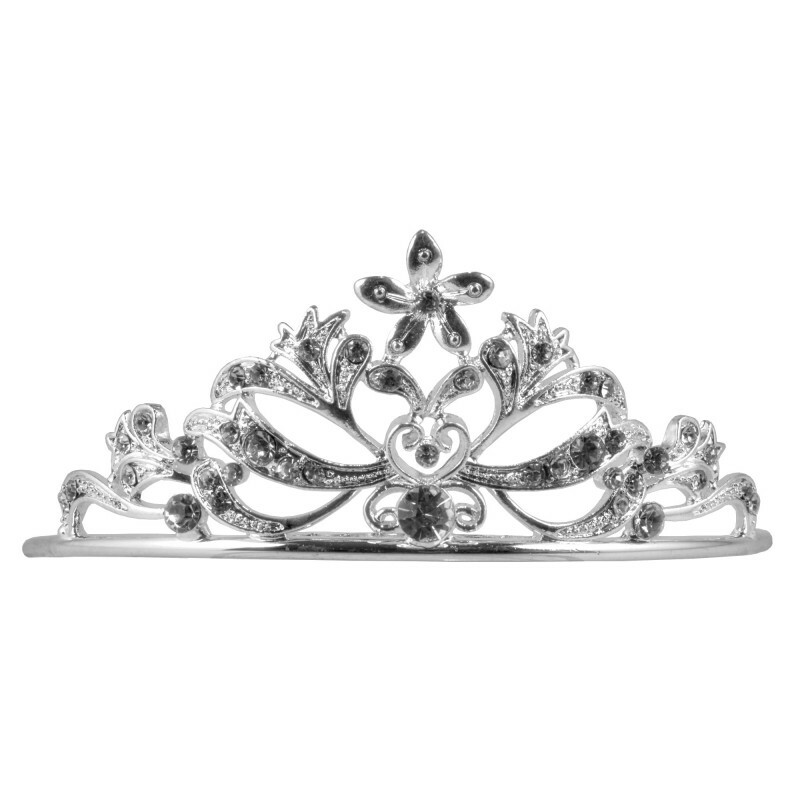 The tiara is on a small hoop, and has a pattern of flowers and leaves. Some of the leaves are pave set, and some have a raised pattern, which catches the light and improves the sparkle! A central large round diamante sits at the centre of the band. 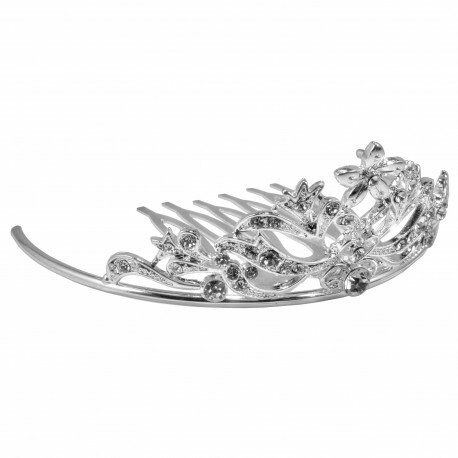 As well as the mini hoop the tiara also has a large comb to help secure into the hair.